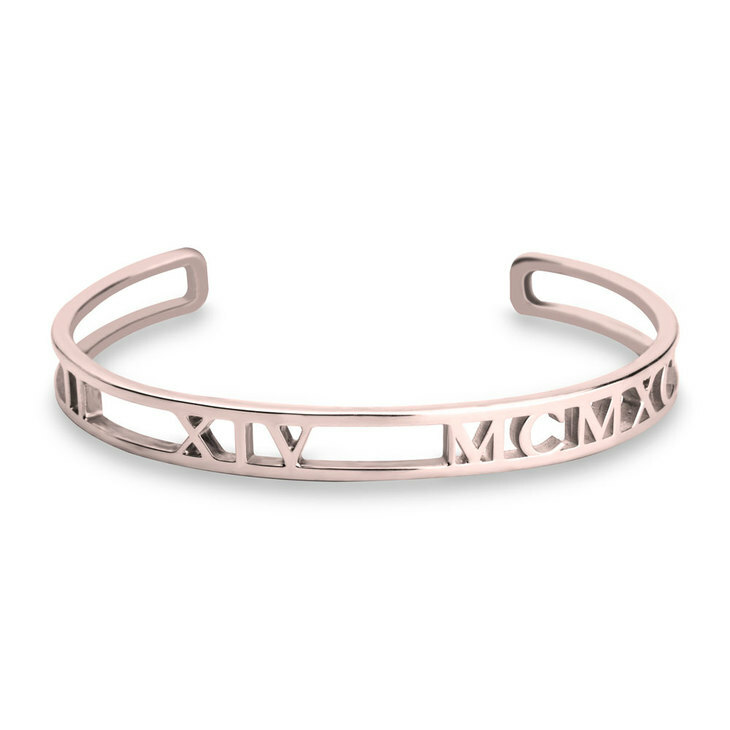 Bangles are the ultimate fashionable bracelet to dress your arms, we put the bangle with the best trend and got the Roman Numeral Bangle, now you can have that special date and wear it all the time! Every time you look at it, will bring to your mind THE day, people will be asking you about it all the time! You can order it in silver, gold plated and rose gold plated. 140mm x 7mm / 5.5" x 0.3"